Episode 2 of Chubby Botak Koala 2013 birthday celebrations, took us to Paulaner Brauhaus for lunch. This time around with family members. Enticed by their lunch menu, we decided to visit the first / oldest microbrewery in Singapore. This is actually my second visit here, the first was way back in 2004. Tuesday & Thursday Night buffet at The Line is one of the most salivating event in the Singaporean Buffet Lover diary. We frequented The Line a few times in the past, specially savour their popular generous servings of Harvest from the Sea, on special occasion such as friends' birthday, gathering or Christmas Party. However, we have not been here more more than 1.5 years. 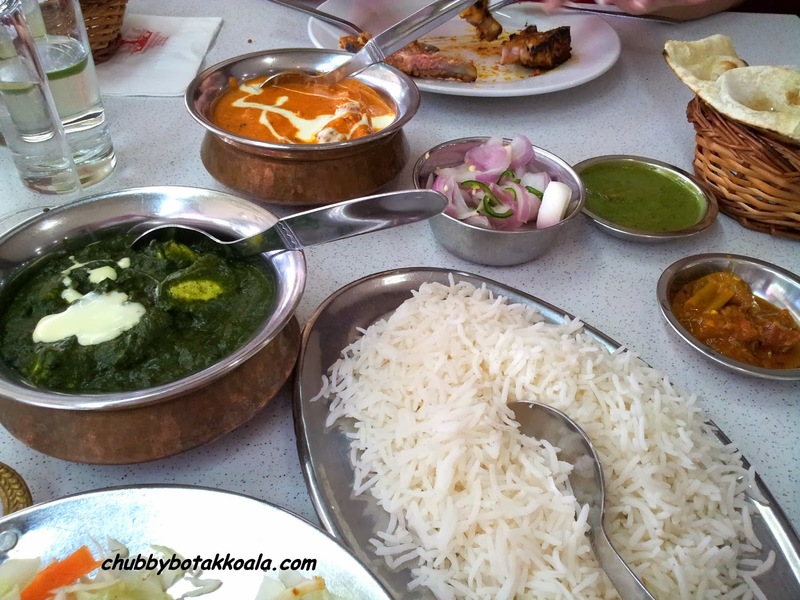 Tandoori Restaurant is a North Indian Restaurant located prominently beside the entrance of Mustafa Shopping Centre at Serangoon Plaza. It is more known to be restaurant for tourists compare to the locals. However based on Little Devil's recommendation, we popped by for lunch here. Arashi Yakiniku Charcoal Grill Restaurant ('Arashi') is the new kid on the block of Boat Quay dining scene in Singapore. One of the popular dining spot and watering hole in Singapore, due to its proximity to Raffles Place and its beautiful scenery of Singapore river. A dining location that I hardly step foot on, but this time around I gratefully accept the tasting invitation from Openrice Singapore and Arashi team. River South (Hoe Nam) Prawn Noodle ('RSPN') is one of the most highly rated Prawn Noodle / Mee place in Singapore. A quick google will find that there are lots of glowing reviews of this establishment. This place can be consider as an 'almost' 24 hours eatery. The reason being that it is run in 2 shifts. The morning/afternoon shift is run by the sisters from the stall in middle part of the coffee shop, while at night to the wee hours in the morning, the brother run the front stall. Quite a unique arrangement. Little Pancakes is a popular establishment along Upper Thomson Road that specialised in mini pancakes. The name of the shop itself already describe what they are making inside. Minions... ooopss I meant mini pancakes. Yup, it is official. 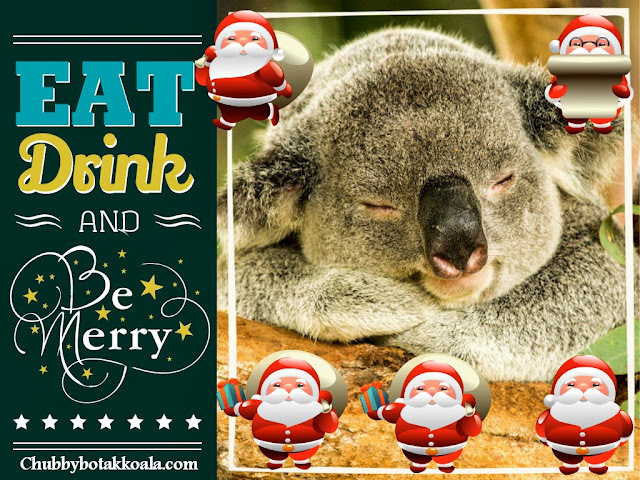 Chubbybotakkoala.com turned 1 year old. Over this short 1 year, it has garnered quite a number and supporter and loyal readers. Thank you very much! We have build up the current page view to a 67,000 ++ for this one year. Average view per month is around 11,000 per month and growing. Posted more than 100 reviews in one year. This is actually a record breaking for my 'take my own sweet time' character (says Little Devil). So all I can say to myself, don't stop and keep on going. Ganbatte!!! Finally, as my birthday is also officially in the month of November. 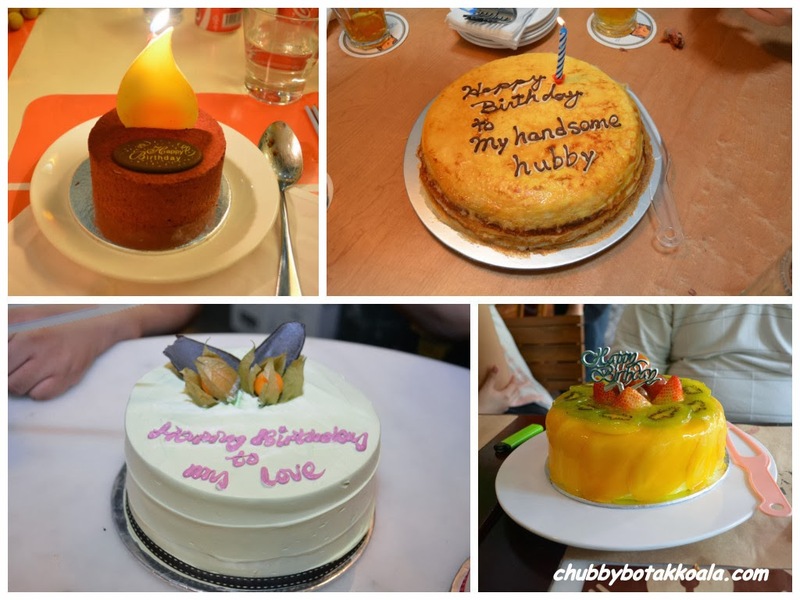 Let me leave you with this photo of 4 out of 5 cakes that I savour during this year birthday. Cheers!! !